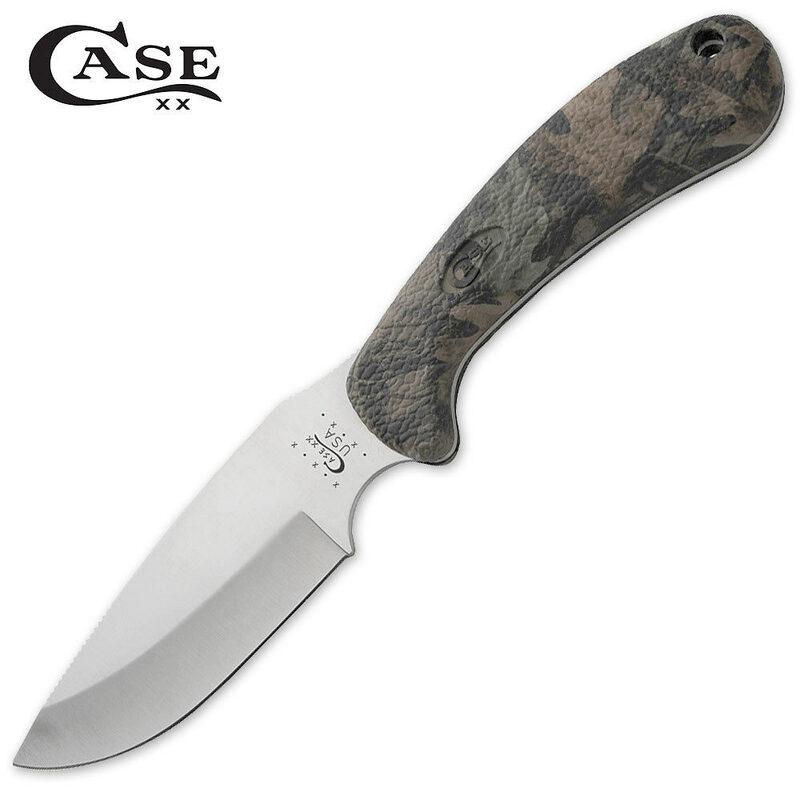 Case Camo Lightweight Ridgeback Drop Point | BUDK.com - Knives & Swords At The Lowest Prices! Outstanding in its field. And in the woods. When you're out in the field, you've got little margin for error. Designed for everything that could go wrong—or right, for that matter—the new Camo family has super-sturdy handles made of grippable Zytel™ plastic, a tough material that stands up to anything. The Case Ridgeback® Drop Point features a Blackie Collins design, signature Case Tru-Sharp 4 1/8" stainless steel as ground drop point blade, and is accompanied by a ballistic nylon sheath. 8 1/2" overall.